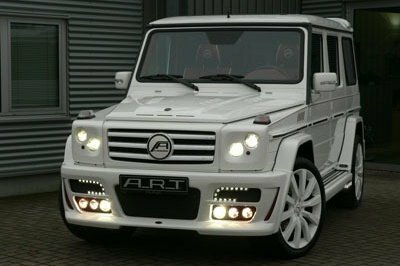 Do any Silver Star Mercedes-Benz Montreal customers dream of being behind the wheel of an ART Mercedes-Benz G550 Cabriolet Streetline? One of these incredible vehicles was spotted on the streets of Beijing. The Streetline is equipped with an enormous body kit with wider wheel arches, a big sidebar, fresh bumpers, and large tires. Under the hood is a supercharged 5.5-liter V-8 engine that has an output of 601 horsepower and 590 pound-feet of torque. This kind of power gives the Streetline the capabilities to reach a top speed of 162 mph and make it to 60 mph from a standstill in less than 4 seconds. ART cars happen to be very rare in China, so stumbling upon the vehicle on the streets is incredible.